This stainless steel tumbler will look great in your hand while you are sipping on your hot or cold beverage! At 18oz, this sleek and modern stainless steel tumbler is perfect to take your favorite hot or cold beverage with you on the go. The slim shape of it fits perfectly in your hand. 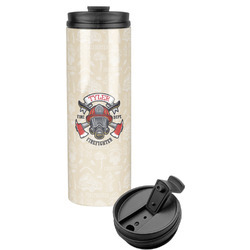 The lid screws inside the cup securely to ensure minimal spills and has a flip piece to close the pour opening in the lid. 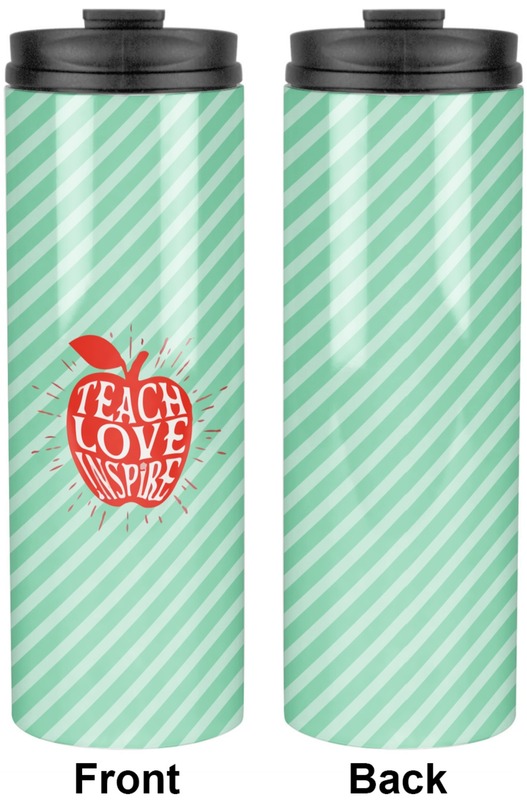 This tumbler is double-walled and vacuum sealed in order to keep your drink either hot or cold for hours! When washing this piece of drinkware you should use warm soapy water and make sure you never use bleach. Never microwave this tumbler. 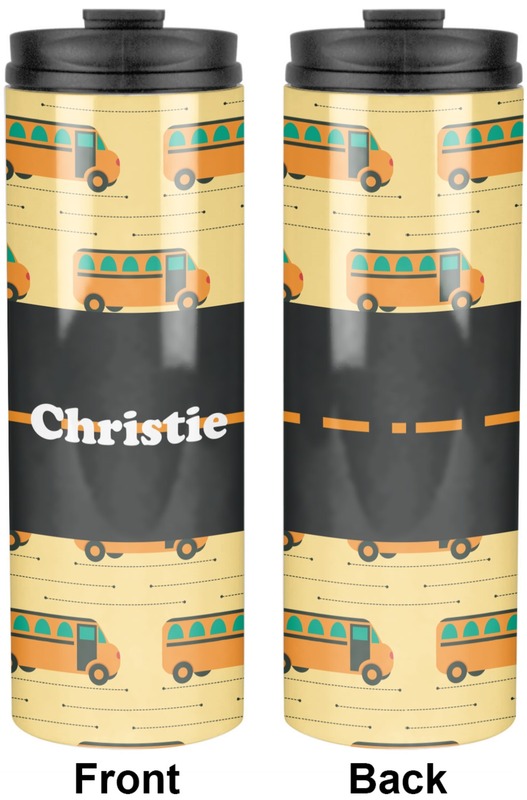 Be sure to hand wash.
Show off your style by personalizing your tumbler with a design that is absolutely you! I was looking for a gift with peace signs and this was perfect! And personalized! The receipent will love it! It was a great price and was delivered a week early! This is a great product! Turned out very nice. Good quality cup.